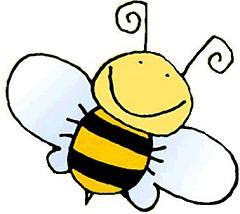 I've been a busy internet bee this last week, scanning the web for great online resources to share with you, in the realm of web 2.0 and communications. It's my holiday gift to readers to enjoy and pass on, and doesn't even need wrapping! Leave it to the cool folks at Animoto to come up with holiday video messages you can create yourself. You can create holiday or everyday one-minute videos using your own photos and customizing the music. I tried this program after learning about it at the YouTube programmers conference last July, and couldn't believe how fun and easy it was to create these videos. Plus, the make a great alternative to slide shows, and every download is different so the same video never appears the same way twice. Put that in your cyber stocking. Note: So far the program only works with still shots, but I'm waiting for these uber geniuses to come up with video footage applications! "Adisn, based in Long Beach, and Tumri, based in Mountain View, are working both sides of the ad equation. On one, they are trying to figure out who is looking at a page by using a mix of behavioral targeting and analysis of the page’s content. On the other side, they are assembling an ad on the fly that is meant to appeal to that person. Both companies assume there is no perfect version of an ad, and instead assemble hundreds of different versions that are displayed on Web sites where their clients have bought ad space, showing versions of an ad to actual consumers as they browse the Web." This is an interesting new development, and not surprising in a world where we have seen the rapid customization of technology, including creating our own movie endings, our own customized web pages for personal preferences, and increasingly customized social networking tools and applications. Problogger's Daren Rouse recently launched the first ever Twitter blog devoted only to Twitter topics. Talk about a niche....Topics so far have included expanding your network through Twitter, establishing your business presence online, suggested twitterers on given specialty areas, how to set up your account, and other juicy tips. From TechCrunch online - Dec. 5 - Facebook is making some improvements to its video-sharing service. The quality will be bumped up to 720p, which is technically the low end of HD. Coincidentally (or not), YouTube turned on an HD-quality option on Friday. The key change, though, is that the videos will now be embeddable on other sites. This is also something that has been a standard for a long time at YouTube, MySpace, and practically every other video site. But Facebook is adding a privacy twist. Just as on Facebook, you can determine exactly who can see any video you upload. Those privacy settings will be maintained across the Web. Anyone will be able to see public videos. But if you set it so that only your friends can see it, the video won’t play unless those friends are currently logged into Facebook. Given the sheer scale of Facebook, making videos embeddable will no doubt give its video efforts a much needed boost, especially if people just embed public videos. But will it be enough for Facebook to close the video gap with arch-competitor MySpace, and maybe even nip at YouTube’s heels? Found any new online resources or any hot topics for 09? Let me know!